In last weeks post, 11 ways to get the word out about technology on campus was shared. While getting the word out is critical to increasing the use of technology, it will only get you so far. Once students and staff learn about the technology, they must then learn how to use it effectively. So in this week’s post I will be picking up right where last week’s post left off by sharing a few tips on providing training to new users. Traditionally training has been delivered in one of two ways: 1.) Having regularly scheduled training that anyone can attend (i.e. Wednesdays at 5pm), or 2.) Scheduling training based on need (meet with Charles Tuesday morning at 10am). While both of these methods are effective, each can require a significant amount of time from the trainer. In addition, it is sometimes difficult to get students to show up for these events. Keeping this in mind, here are 3 alternatives to traditional training that can help. 1. Move training online - Web based training comes in one of two formats (or a combination of the two): Asynchronous and Synchronous. Asynchronous training is available 24/7 and does not require the trainer be present at the same time as the learner. Learning Management Systems (LMS) such as Blackboard, Desire2Learn, and Moodle are great examples of this. Trainers can post information in these locations and students can access at a time that works best for them. If you don’t have access to an LMS a similar setup can be achieved through a blog, wiki, or by creating a resource page on your website. Whatever space you choose, you can add video tutorials about the technology (either created in house or from the vendor), links to additional resources, and downloads to product guides or training manuals. For example, videos broken down by product and platform from Texthelp can be found on Texthelp’s website and YouTube channel. Similarly, copies of training guides and more are also available online. Putting these resources in one convenient place on your LMS or website provides students with 24/7 access to training materials that they can use when needed. In addition to making resources available online, you can integrate Synchronous solutions by scheduling real time web based training using tools like Skype, GoToMeeting, or Google Hangouts. My current go to application for web based training and meetings is Google Hangouts. It allows for real time video and screen sharing with up to 10 people. And it’s free! I recently did a post on Google Hangouts here. 2. Take advantage of email - Once students or staff demonstrate interest or request access to technology be sure to add their information to an email list. Once added, a weekly email with links to resources, updates, strategies, and success stories from around campus can be shared. While you can do this manually through distribution lists, email marketing companies like Mailchimp, iContact, and Constant Contact can help you to automate the whole process and offer high quality templates for a professional look. Most of these companies have a free version that allow for a limited number of users (which is all that many campuses will need) or a free trial at a minimum. 3. 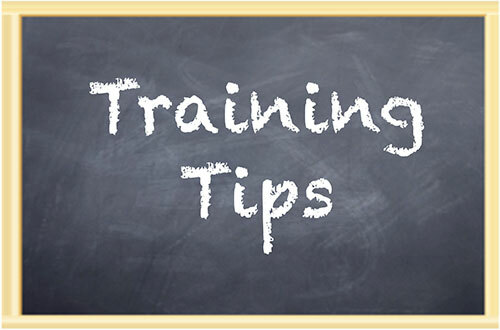 Create informal training opportunities - This specific idea was listed as one of the tips in last week’s post, but it is worth repeating and expanding upon here. As opposed to scheduling official training consider holding informal meetups in public places like the library or other locations that offer computer access (or ask students to bring their own device). By informal, I mean an event where you may offer coffee and snacks but not have an official agenda. This saves the trainer loads of time by not having to create an official presentation, handout, agenda, etc. and provides students with an informal setting where they can ask specific questions based on their needs and experience with the technology. Or if you prefer to have an agenda in place, consider focusing on just one feature. For example, a commonly-used feature of Read&Write Gold in Higher Ed is the Fact Folder. So an informal “Fact Folder Friday” meetup could occur Friday afternoon where specifics related to this feature could be shared. Hopefully these alternatives will help you expand the way you currently offer training. They can be modified to meet the training needs of almost any new technology or initiative. Additional ideas are available in the Guide to Effective Technology Implementation that you can receive free just for subscribing to this blog. What other “outside of the box” ways have you delivered training? Please list ideas and resources in the comments section below.